Not long ago, we finished building a new house and before the GIB had been installed, we installed our own fibre cable from the boundry, to where it terminates inside the house. 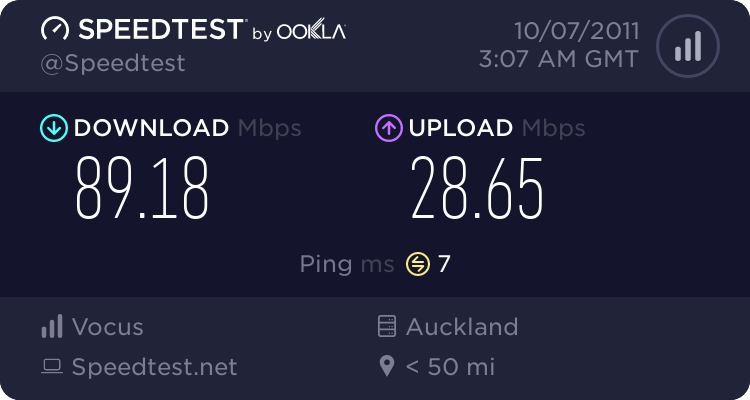 UFB has just become live in our area and we just started talking to SNAP / Enable. We have been told that they can't legally use any other cable than their own. Did you have ducting installed with this fibre? Hopefully they could pull their own fibre through it if you did. Yeah, just get them to pull it through the ducting you put in. It sounds right to me. Since the LFC "owns" everything from the handover to the RSP up to and including the ONT they install in your house. If the fibre was faulty, or caused issues back into the GPON network from incorrect reflection who would be responsible for sorting it. There are very clear specifications from CFH (or so I believe) of the size and type and bends required for the ducting to be installed plus a drawstring to be installed into the duct to allow the main fibre conduit to be pulled through. If I were a LFC I know I wouldn't support customer owned fibre, as it would be a nightmare to support. What sort of fibre did you install? IMHO it was a waste of time doing that - it however can be used as a draw wire if you've got correctly installed conduit. sbiddle: What sort of fibre did you install? Thats an expensive draw wire! But these guys are right. We (Chorus) also have tight fibre specifications to meet. We paid a registered company to put in high quality Cables ie. Cat 6a, HDMI around the house and fibre from house to boundry. But from the sounds of it you didn't talk to the LFC and ask them what they needed. KiwisOnLand: Not long ago, we finished building a new house and before the GIB had been installed, we installed our own fibre cable from the boundry, to where it terminates inside the house. UFB has just become live in our area and we just started talking to SNAP / Enable. Are Chorus generally happy to utalise a home owner installed conduit, provided it has been installed to the correct specs? DarthKermit: Are Chorus generally happy to utalise a home owner installed conduit, provided it has been installed to the correct specs? Indeed. I'm going to install my own conduit from the front fence for a future maybe one day UFB connection. I am wondering what the advantage of paying to get someone else to install it was, if normally it is free to get it installed anyway. I would contact the company you paid about it as to why what they installed isn't suitable. mattwnz: I am wondering what the advantage of paying to get someone else to install it was, if normally it is free to get it installed anyway. I was thinking by doing that we could save time. And so we could make sure the fibre is terminated how and where we want it. mattwnz: I would contact the company you paid about it as to why what they installed isn't suitable. I have contacted them and they are sorting things out with enable. It seems like Enable didn't have a problem with using the owners cable a few mounths ago but in the last few weeks they have changed their mind and came up with the story that its illegal to use anything but theirs. Yea the moral of the story is - always run conduit that meets the specs with draw wire. You could run the conduit to the ETP on the house from the boundary and run a conduit internally from there to your comms cabinet. Wish we had done that - we have cat5e from ETP to comms cabinet but really want to put the ONT in the comms cabinet. IMHO you've ever requested or sold something that was completely unnecessary, possibly because either you or the company who has done the work doesn't understand the bigger picture or the technical requirements. Providing you had approved conduit in place blowing the fibre would have literally taken minutes so there were no time or cost savings by doing this yourself, even if running your own fibre was an approved scenario.